Almost everybody you know, at one point or another, has experienced or will experience abdominal pain. The cause is often not serious, but stomach pain can be a sign of a major illness. The area of your stomach pain can often give you clues about what ails your stomach. For example, upper-right abdominal pain is most often due to conditions that affect your liver and gallbladder, but it can have a variety of origins. 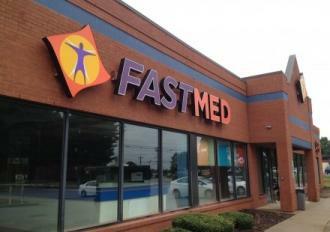 If you are experiencing upper-right abdominal pain, or anywhere else, FastMed is here to help. We offer prompt and compassionate treatment for non-life-threatening illnesses and injuries all 365 days of the year! Upper-right abdominal pain can be caused by a variety of conditions, including liver abscesses, peptic ulcers, pneumonia, and gastritis. Lower-right abdominal pain* is commonly caused by inguinal hernias, ovarian cysts, viral gastroenteritis, or intestinal obstructions. Upper-left stomach* pain can be due to an enlarged spleen, heart attack, shingles, or a hiatal hernia. Lower-left stomach pain* can often be caused by Crohn’s disease, diverticulitis, endometriosis, or kidney infections. Seek care if you’re experiencing any of these symptoms. Our staff of medical professionals will work hard to determine the cause of your pain and provide you with treatment. Our goal is to have you in, out, and back home feeling better as quickly as possible.